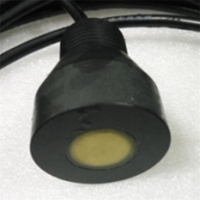 The ultrasonic flowmeter transducer sensor we use is mainly designed according to the principle. When it is used in industry, it not only has the characteristics of measurement management, but also has the characteristics of process monitoring. It is widely used in petroleum, chemical, pharmaceutical, papermaking. , fire and other fields. 1. 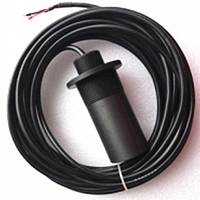 The ultrasonic flow meter sensor is installed by flange connection, screw connection and clamp type; The liquid flow sensor can be installed horizontally and vertically, and the fluid direction must be upward when hanging. The liquid should be filled with tubing and must be free of air bubbles. When installed, the direction of liquid flow should be the same as the direction of the arrow indicating the direction of flow on the liquid flow sensor housing. 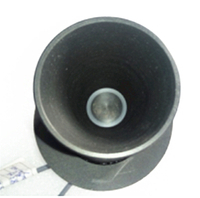 The upstream end of the liquid flow sensor shall have at least 20 times the straight pipe length of the nominal diameter. The downstream end shall be not less than 5 times the straight pipe section of the nominal diameter. The inner wall shall be smooth and clean, free from defects such as dents, scale and skin. 2. 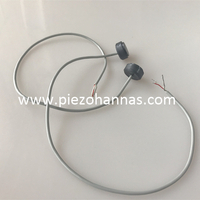 If the fluid is unstable and has a pulsating flow, a buffer can be installed to ensure good measurement of the ultrasonic depth transducer sensor to eliminate the pulsating flow. 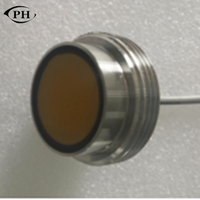 When using the liquid flow sensor, slowly open the control valve on the upstream pipe of the flowmeter, and then adjust the flow with the regulating valve to avoid sudden opening and causing the float to rise sharply to damage the cone. 1. The direction of liquid flow during installation should be consistent with the direction of the arrow indicating the flow direction on the sensor casing, and the upstream straight pipe section should be ≥20dn, and the straight pipe section downstream of should be ≥5dn (dn is the pipe inner diameter). 2. The external ultrasonic flowmeter transducer should be away from the external magnetic field. If it cannot be avoided, the necessary measures should be taken. 4. When the sensor is installed in the open air, please make the waterproof processing of the amplifier plug. 5. The wiring of the sensor and the display instrument should be selected according to the power supply of the amplifier. For details, please refer to the“Instruction Manual”. Through the application of the clamp on ultrasonic heat flowmeter described above, we tell us that the installation in any industrial metering of the product is a prerequisite, we must install it correctly to ensure its service life and measurement accuracy.